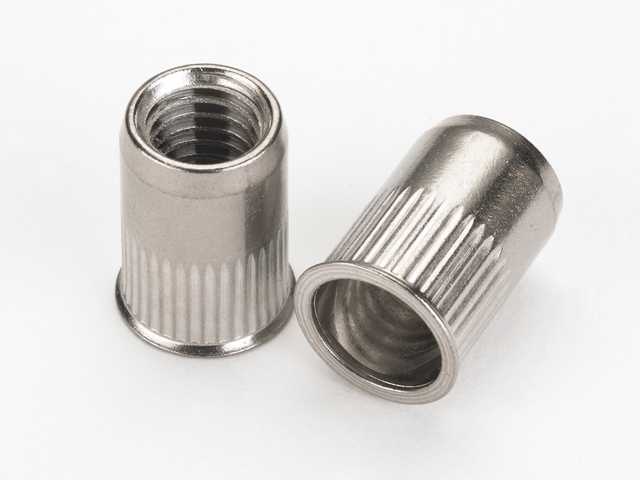 Stainless Steel, Thin Sheet Head, Splined Body Rivet Nuts. Thin sheet head provides a flush fit with minimal stand off. Splined body provides improved torque resistance.